Fishing Basics for Beginners: In this article, we would be discussing some basics of fishing which you should know before your first fishing trip. We hope you like our Fishing Basics for Beginners article. This article is a part of our Fishing Tips series. Other fishing guides in this series are Fishing Basics for Beginners, Fishing Tips for Beginners, Bass Fishing Tips, Trout Fishing Tips, Crappie Fishing Tips, Fly Fishing Tips, Lake Fishing Tips, Pond Fishing Tips, Surf Fishing Tips, and River Fishing Tips. Waiting for the right moment while being patient is the key to fishing! You need to make peace with every possibility, angle, constraint, and of course equipment before you go for an action. You must know that fishing isn’t the same old school activity anymore. Many new types of equipment have been introduced in the market to match up with different edges of fishing. 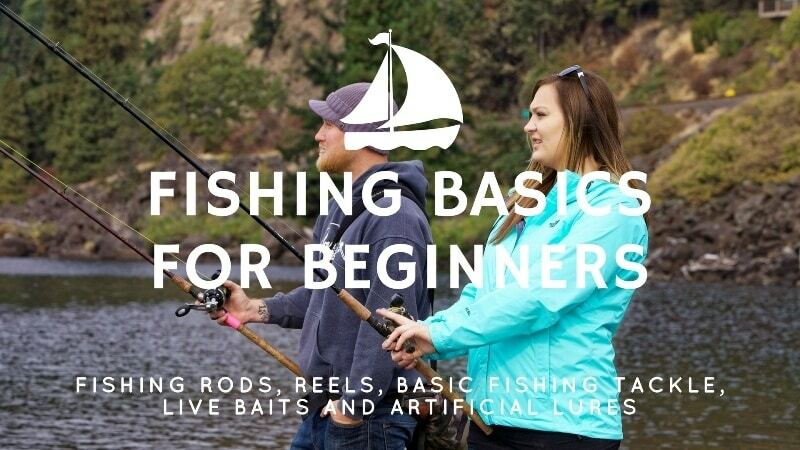 Let us first know all about Fishing Rods and Reels as jump deep into Fishing Basics for Beginners. The history of Cane Pole fishing rods is dated back to 2000 BC. This fishing rod is often called as a “tight spotter” as it is known for its easy handling. If you are a beginner, who is just new to the concept of fishing, go for this one without thinking twice. A hook, a pole, and a line is enough to set you straight for a great fishing experience with the cane poles. The cane poles fishing rods are made up of a plant’s stalk but these days it’s been replaced by fiberglass. Obviously, you should prefer the original one but the alternatives work fine too. 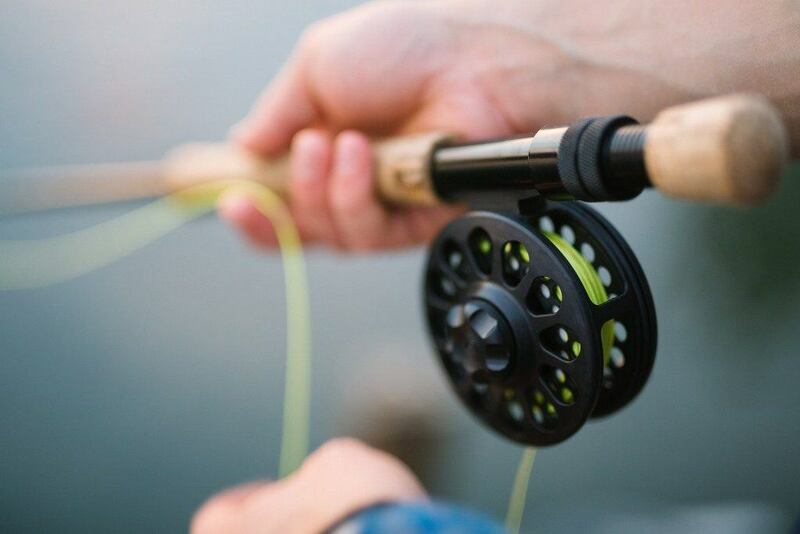 The best advantage of selecting a fly rod is that you can pick it up as per to your desired length, though, most of them are 8 to 9 ft in length because of their great practicality. The fly rods are known for their easy control, firm grip, and fine line control. They are easy to navigate as well. The rod blank is usually made up of graphite fiber sheets while fittings of the rod comprise of grip, reel seat, ferrules, and guides. You may read Best Fly Fishing Combo For Beginners for our recommended picks. Before going along with these rods, you need to make sure that you are manually testing the weight of the rod. If you are new to fishing then the spinning rods would be highly beneficial for you to choose. Graphite and E-Glass are used as the manufacturing materials for the spinning rods. With spinning rods, you can perform the casting very accurately as the rod eliminates the friction while casting. If you are planning to go for trout fishing, then you can check out our recommendations for Best Spinning Rod For Trout. To maintain the line control while casting, the bait casting rods are designed with a trigger grip and reel. The Bait casting rods are perfect for capturing and luring quick and difficult fishes. 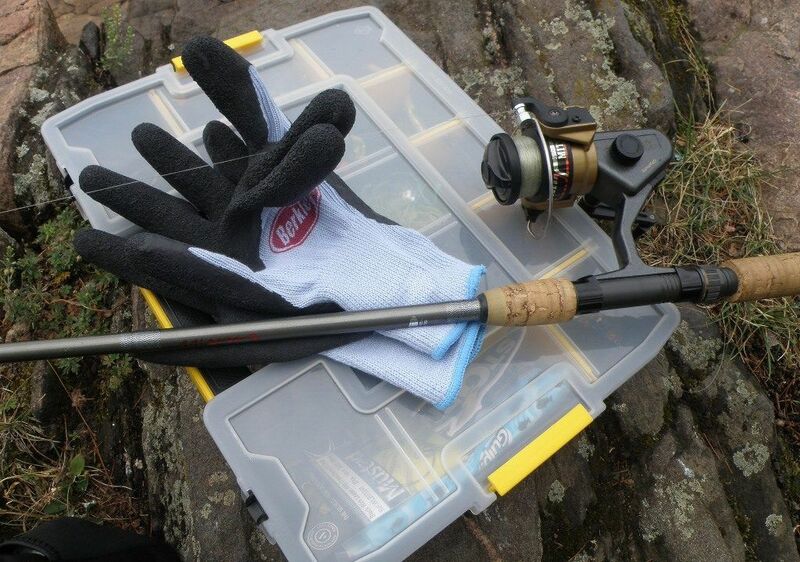 One of the most powerful features of this rod is its gripping power which works fine even when the hands are wet. Everything related to the election of a fishing rod narrows down to mainly three factors – Length, Action, and Power. For a fishing rod, you will find many options differing in length. Starting from 4 ft. and going all the way to 14ft. different rods are meant for different purposes. Short: If you are going with a light-weighted lure then choose a fishing rod which is shorter in length. Long: Needless to say, longer rods are meant for casting at longer distances for which you might use a heavy lure. Some longer fishing rods can be broken down into pieces so that they become travel-friendly. The point at which the rod bends is known as the action point of the rod. The action relates to the weight of the fish it can lift i.e. if you are targeting the heavier fishes then you should go with the rods with a heavier action. Otherwise, if your target is lighter fishes then you should prefer the rods with a lighter action. Power is defined as the pressure’s amount that you apply over a rod in order to get it bent. If you have to apply a significant pressure in order to bend the rod then it will be categorized as a heavily powered rod and vice versa. Learn these basic guidelines before you pack your bags and get set go for fishing. We want to ensure that you enjoy fishing to the core and become a pro at it soon! By following these tips of using any fishing rod, you will happily bring home a perfect gift of fishing for yourself. Understand the relationship between a fishing rod, reel, and weight of the line. When you go to buy these, check the label for all the details. Ideally, your fishing stick must match your line weight and terminal weight. Take a pound test to know what kind of fish you are targeting to catch. Check the pound before you select the fishing rod. Practice enough on the field before you actually begin fishing. Practice will help you to get used to the fishing rod and attachments. Make note of the direction, angel, and technique to use your fishing rod. Don’t worry, these will come with practice. Be smooth while using your fishing rod; you don’t want to make your prey panicked either. Begin pulling slowly and then raise your speed as you get it up. Don’t forget to relax and enjoy this blissful hobby of fishing under the shining sun. The spincasting reel consists of a thumb button which needs to be pressed in order to make the line go out, when you stop pressing, the line stops going any further. The spin cast reels are the easiest to use for children as they can be operated quite easily and effectively. If you are new to fishing or are still in a learning phase of fishing then the spin cast reels are the best ones for you. Due to their complex design, the baitcasting reels are a bit difficult to deal with. You would need a lot of practice in order to get a hang of it. With practice comes accuracy! These reels are great to accurately capture ‘hard-to-get’ fishes. You may use the baitcasting reels whenever you are sticking to the heavier lures although, you might need to practice the line alignment a little at first. These ones are the best when it comes to fighting with a fish. With a line spool and drag adjustment, you can literally control the adjustments manually to accurately capture the prey. Buying an extra spool is a great idea when you are going for a spinning reel as it offers a great control with a heavier action. As we mentioned earlier, fishing is not a cake walk! You need to get sorted with rods and reels before you go for some live action. Judging your requirements and your needs is actually a great idea as it will allow you to have a great fishing experience. Now, let’s move on to discussing the next step of requirements, which are the basic fishing tackle and bait. Heading towards fishing? Make sure that you are carrying all the pieces of equipment required beforehand. Speaking of which, make sure that you take a glance at your tackle box. As an angler, you need to keep a list of things that you should have while you are on your fishing adventure trip. Let us quickly note down what are these – Bobbers, weights, swivels, baits, hooks, sinkers, leaders, and extra fishing line. Fishing hooks are an integral component that is required for fishing. A fishing hook can be used in various ways. Technically speaking, the main objective of these hooks is to get either in the mouths of the fishes or to get somehow tangled in the body of the fish. To achieve their purpose, the fishing hooks can be attached to a lure, or bait, or can be used for fly fishing as well. Eagle Claw: Used for bait fishing, consists of a medium to light wire material. Lazer Sharp: Nonoffset, consists of a light wire material. Mustad Model: Used for bait fishing. TMC Model: Heavy wire, used to tackle specific species of fishes. Types: The types of hooks can be categorized into three broad categories namely – single, double, and triple hooks. While single hooks are used for general fishing, the double and triple hooks are used with artificial lures and bait fishing. Choosing a fishing line is one of the most important decisions that an angler has to make. Having said that, the choice that an angler has to make for a fishing line is not random and neither is it a layman’s job. One needs to consider a few important factors such as weight, length, material, and even breaking strength (if you not fishing for pleasure). Fishing lines can be classified into 3 major categories namely monofilament/nylon lines, fluorocarbon, braided lines and copolymer fishing lines. Monofilament Lines: The monofilament lines have a great stretching ability that makes it a favorable choice for most of the anglers. Another intriguing property of these lines is that they are made out of a single kind of fiber. Yet another advantage of monofilament lines is that they are produced in a great range of diameters which gives the angler a good spectrum of choices. Pound Test: For those of you, who are unfamiliar with this terminology, a pound test is applied on a fishing line in order to test its strength. Critically, these tests are done as per the conditions of the surroundings, as a preventive strategy. An ideal line should score moderately in a pound test because if the line is too heavy, fish will notice it quite easily or if the line is too light, the fish would be able to handle it easily. Sinkers are primarily attached to the artificial lures in order to make the hook dig deeper into the water body. Pyramid: To get the hook sink to the bottom. Bead: Have a hole in the middle to let the line pass through it. Split-shot: Split is made halfway through the sinker. Dipsey: Egg-shaped with a loop of brass wire. Claw: Used in sandy places. Just like a sinker, a bobber is also a helping agent when it comes to fishing. A bobber, also known as a float, is attached to the fishing line. It basically navigates and angles the line and due to its buoyant properties, helps to bring the fish to the surface. Some of the most common types of bobber are Avon, Bubble, Dink, Popper, Quill, Self-cocking, Stick, and Waggler. Fishing baits are worms or insect which are used to lure a fish and get the fish attached to the fishing hook. The baits can be artificial or live and more recently baits known as ‘electric baits’ have been introduced in the market. Over here, let us first focus on different live baits. Worms, leeches, and insects have been the most prominent choices for the live baits. These baits can be simply tied to the line, attached to the hook or a fish trap to let them attract the fishes. If you are looking to buy some fishing baits, then check out our Guide to Buy Bait for Fishing. Crickets: Small, Darkest brown-black in color, have an ability to fly. Grasshoppers: Small to medium in size, green in color, protein-rich. Worms: Sluggy, slow, small to medium in size, attract fishes easily. Minnows: Slate-silver fishes, small in size, attract medium-sized fishes. Crayfish: Also known as lobsters, medium-sized, attracts crabs and medium sized fishes. Shrimps: Elongated body, pinkish red in color, attracts medium-sized fishes. Crabs: Have claws, large in size, attracts large fishes. Squid: Have eight arms, medium sized. Artificial lures are made out of plastic or other fiber-based material which basically do the job of confusing the fish and attracting them towards the hook. Needless to say, these lures are much more usable and easy to find but sometimes they might work not as good as the live baits do. 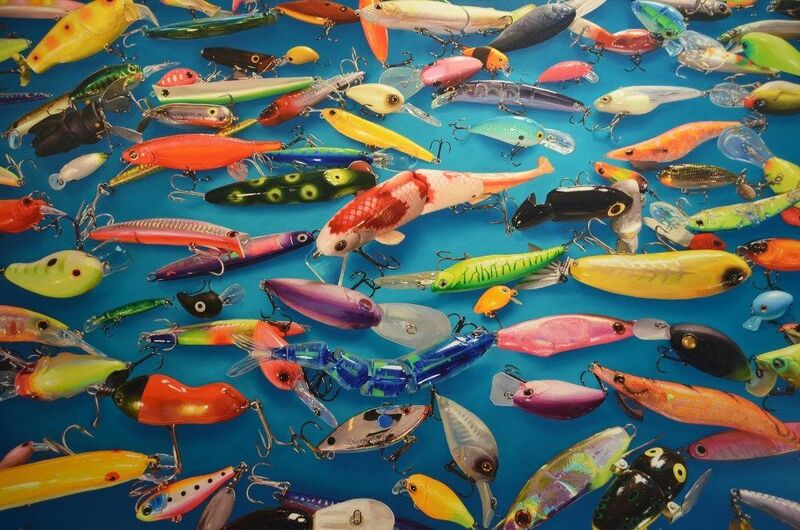 There are a plethora of artificial lures on the market! Plug: Also known as minnow, crankbait, or wobbler, these lures basically have elongated bodies. Plastics or light metals are used to construct plug lures. Jigs: These lures have a sleek layer of soft material which confuses the fish for real food. Jigs are designed in such a way such that they follow a vertical path in the water bodies. Soft Plastics: These are the most common lures available. They are constructed in the shape of tiny fishes to attract bigger fishes. Spinner Baits: These look much more realistic as they perform a spinning motion when they are set in the water. Spoons: Made out of metal and are curvy lures. Your safety is a priority! Get a proper fishing license, a life vest, sunscreen lotion, water bottles, and food for self before you leave for your passion. You don’t wish to end up being a wanderer starving for food in case you miss the prey. Passion for fishing and preparation for fishing are two different things. Fishing just out of hobby without any preparation will make you lose interest soon. Preparing yourself well for fishing is important if you wish to pursue the hobby. Apart from the fishing rod, don’t forget to carry important fishing aids like a map, extra line, hooks, plastic lures, first aid kit, a guide on fishing, extra reels, a rain suit for fishing, good quality fishing waders and a sling pack to carry everything. Understand the types of water bodies used for fishing. Consider the difference between lakes, oceans, saltwater, and freshwater. Every water body may vary in relation to the type of fish. For instance, most salmons are born in fresh water. Fishing in a lake requires different techniques than fishing in a river or fishing in a pond. Learn how to attach bait to the rod. Be patient when you are casting the prey with the bait. Hold the rod still when you feel the rod vibrating. Slowly pull the rod up and then increase your speed. Choose the right bait for your fish. If you know the market well, you will find cheap baits are better than the expensive lures. Do not worry about losing the fish; you will eventually learn it with practice. A new bait or lure for the first time takes some time for you to get used to. Try doing it for first few days and slowly you will learn the forces you need to catch the fish. So here we are at the end of Fishing Basics for Beginners. We hope you liked reading our guide. We tried to cover all the basics of fishing such as rods, reels, tackle, baits, and lure. Have a happy fishing and we bet you will fall in love with the experience of it. Don’t forget to share with us your first experience as we would be happy to know it. We wish you all the best for your fishing experiences! Fishing Basics for Beginners is the first part of our Learn to Fish mini-series. You may check out the second part here at Fishing Tips for Beginners (Learn to Fish: Part 2). Hope you found this guide useful. Leave your comments and let us know how you felt about it.